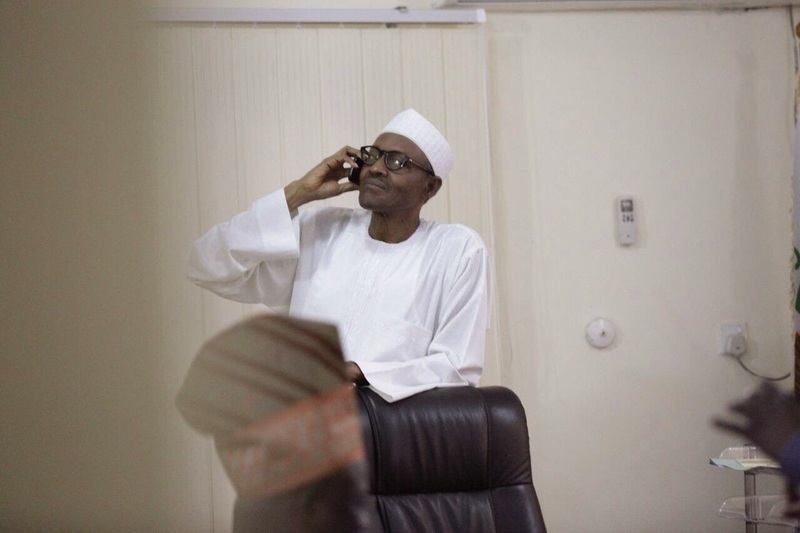 President Goodluck Jonathan has called his major challenger and the likely-winner of the 2015 presidential election, Muhammadu Buhari of the All Progressives Congress, APC to congratulate him. 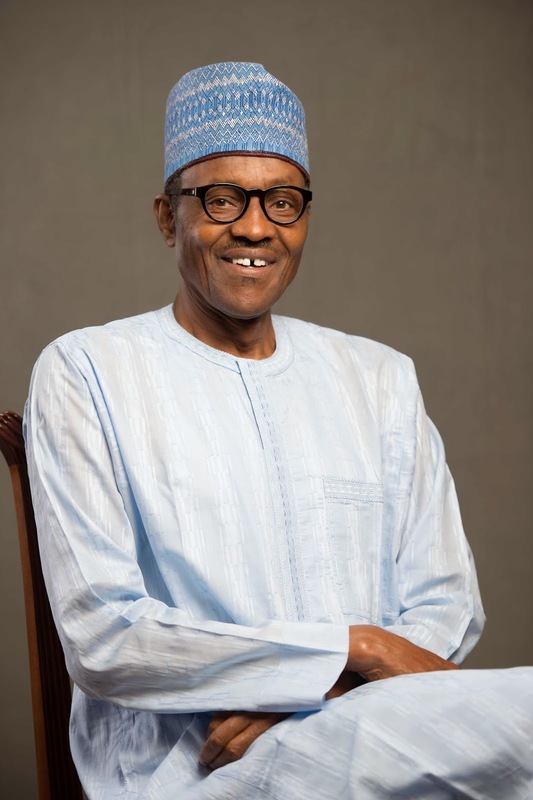 The Presidential candidate of the All Progressives Congress, APC, General Muhammadu Buhari, is on the verge of being declared winner of the presidential election held last Saturday throughout Nigeria. It was the fourth time Buhari would contest to govern Nigeria. He had failed three times, but his efforts are being crowned at the fourth attempt, 30 years after he was toppled in a military coup in August 1985. 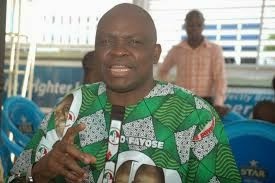 The Ekiti State Governor, Ayodele Fayose, has urged Nigerians to accept the outcome of Saturday’s presidential election in good faith, saying; “the election result is the will of God and Nigerians, and all lovers of peace, progress and development of Nigeria must accept it”. 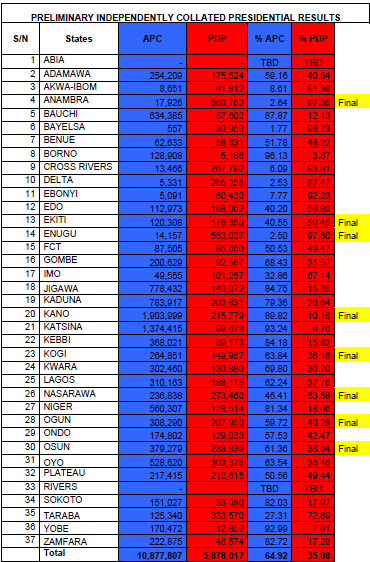 31 states declared so far and APC is still leading with 2,894,494 votes. Only 5 states remaining - Sokoto, Taraba, Borno, Edo and Delta. The commission took a 10mins recess. "In a democratic process, we must follow democratic channels. Yesterday we questioned the opposition party about certain things they had done to challenge states. We expect our members to follow the same process as well. This party has a tradition of decency and will follow democratic channels to lay complaints. 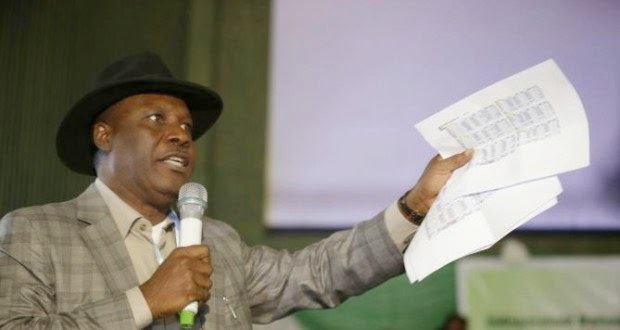 Former minister, Godsday Orubebe came forth and disrupted the collation of the results for the presidential elections as it was about to start for the day. 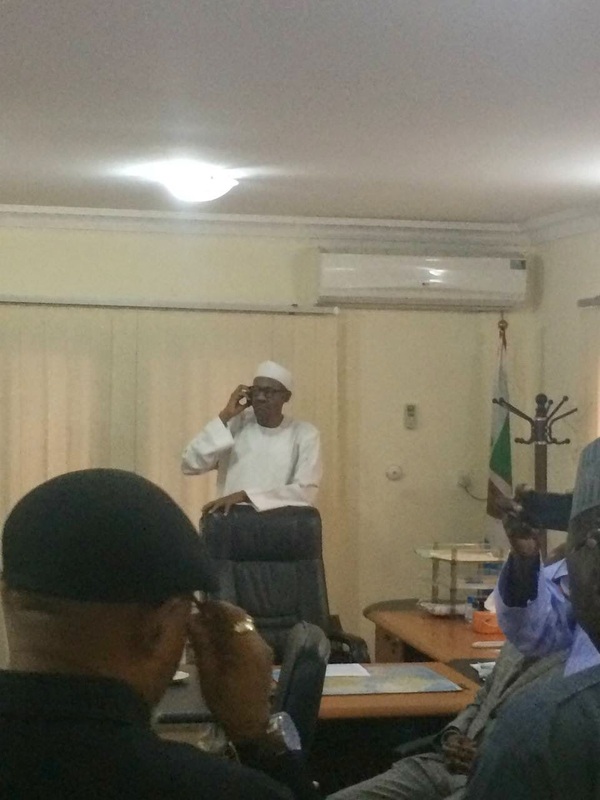 He accused INEC chairman Prof. Attahiru Jega of favoring the APC. 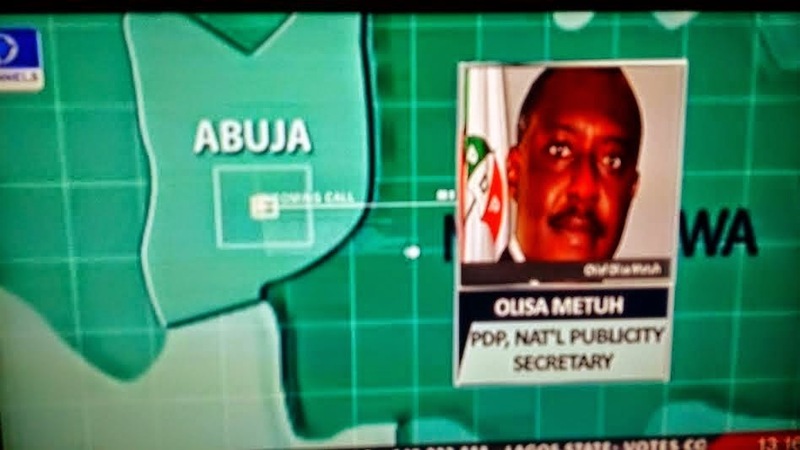 Orubebe is a member of the PDP. The chairman Senate committee on Environment and Ecology, Dr. Bukola Saraki, has assured Nigerians that the All Progressives Congress (APC)-led federal government will open a new page for the country where all governments affairs will follow due process. Saraki who was reacting to the total victory recorded by APC in the presidential and National Assembly elections in Kwara state, expressed optimism that going by the reports reaching him from across the country, Gen. Muhammadu Buhari would emerge victorious in the presidential election. Later today, the INEC chairman will announce the emergence of the candidate of the All Progressives Congress (APC), Gen Muhammadu Buhari, as president-elect of the Federal Republic of Nigeria. 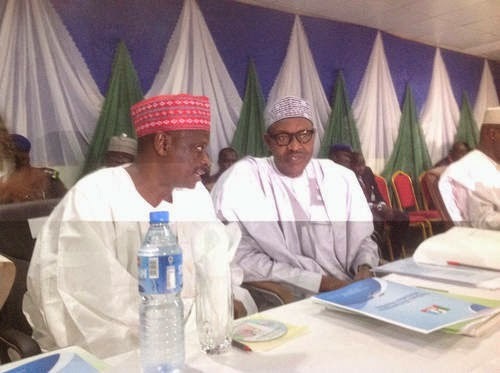 Results of the presidential polls indicated that the APC candidate won in the two largest zones – North West and South West. Buhari also enjoyed wider popularity than his archival President Goodluck Jonathan, candidate of the People’s Democratic Party (PDP), in the North East zone. 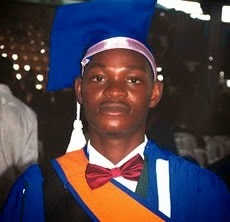 Falola Ajumobi, who was adjudged the Best Graduating student at the recently held 27th convocation ceremony of the Rivers state University of Science and Technology, RSUST, says one of the things he had to do to achieve his academic feat was to distance himself from women. 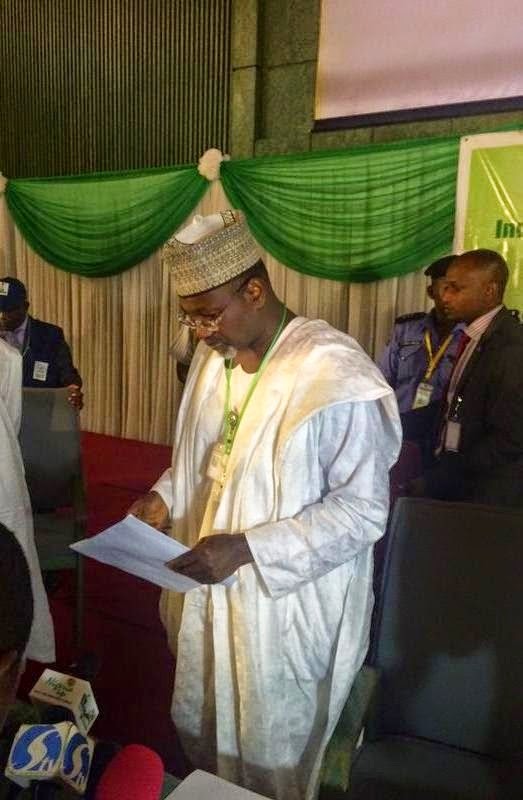 Nasir El-Rufai is making alot of rigging allegations against the PDP..
INEC Chairman, Professor Jega continues with the announcement of the 2015 Presidential election results by 10am today. Tune to Channels TV, NTA, or your favorite TV/radio station to watch the continuation of Jega's announcement of the 2015 election results. APC is leading with 8,520,436 votes while PDP has 6,488,210 votes from the results announced so far. The Peoples Democratic Party Presidential Campaign Organisation has said it will resist rigging of the presidential election. 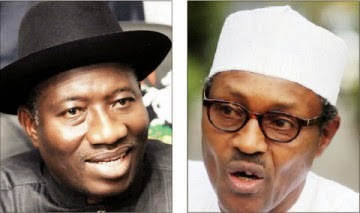 Its Presidential candidate, President Goodluck Jonathan, is currently facing stiff opposition from the Presidential candidate of the All Progressives Congress, Maj. Gen. Muhammadu Buhari(retd.) for the coveted position. The All Progressives Congress, Bayelsa State chapter, has rejected the declared results of the last Saturday’s presidential and National Assembly elections in the state. The party alleged on Monday that the results were filled with widespread irregularities. The Buhari Support Organisations has called for the arrest of Mr. Femi Fani-Kayode, the Director, Media, Peoples Democratic Party Presidential Campaign Organisation, for announcing unofficial results. The Director, Media and Information of the BSO, Dr. Chidia Maduekwe, made the call on Monday in Abuja at a news conference. 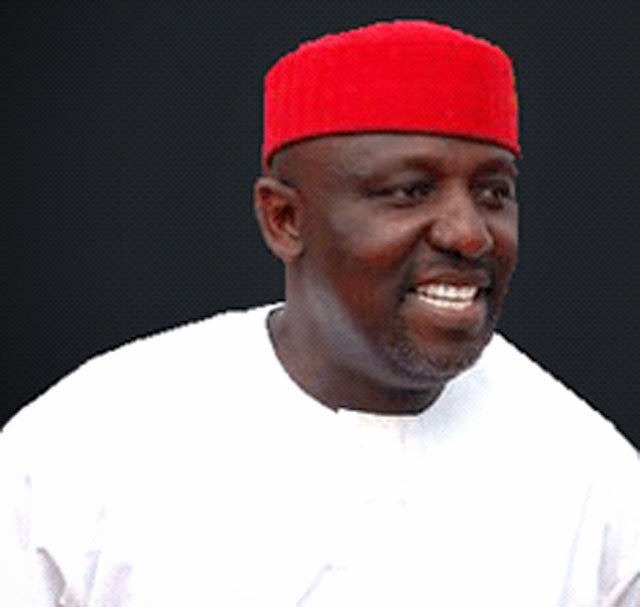 The Imo State Governor, Rochas Okorocha, has frowned on the way the Peoples Democratic Party “rigged” the elections of Saturday and has therefore called for the outright cancellation of the results in six local government areas of the state. 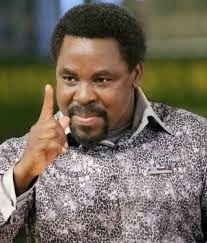 He also said that the election in the state was full of combined conspiracy with military intervention. The imminence of a change of baton at the presidency, yesterday, dawned on President Goodluck Jonathan and his associates, forcing them to meet repeatedly and discuss the likelihood of losing their coveted offices. 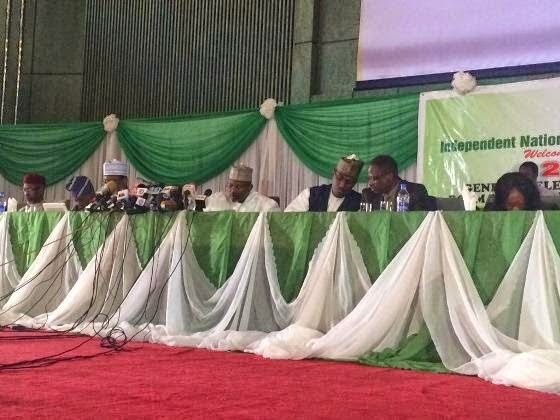 The scripting of the statement of change was also confirmed by the Independent National Electoral Commission (INEC) as it commenced the release of the results from the states. The All Progressives Congress has lost five House of Representatives seats to the Peoples Democratic Party and a seat to the Accord Party in Lagos. Investigations by our correspondent showed that most of the reps lost in Igbo- dominated local government areas. Sources in the APC said the love the people of the South-East have for President Goodluck Jonathan positively affected the PDP candidates, some of whom had not even been rigorously campaigning. 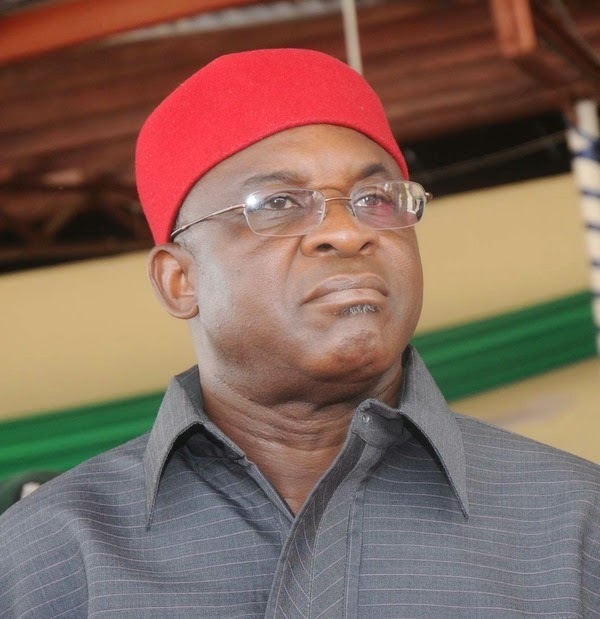 Senate President, David Mark; his deputy, Ike Ekweremadu and the Senate Minority Leader, George Akume, have been re-elected into the upper chamber, just as high ranking senators like Smart Adeyemi, Abdul Ningi and Chris Ngige lost their bid to return. Ngige lost to Uche Ekwunife in Anambra Central; Smart Adeyemi lost to Dino Melaye in Kogi West while Ningi, the Deputy Senate Majority Leader, lost also to the All Peoples Congress candidate in Bauchi Central. The presidential candidate of the All Progressives Congress, Muhammadu Buhari, polled 792,460 votes to emerge the winner in a closely contested race against President Goodluck Jonathan in Lagos, Nigeria’s commercial capital. 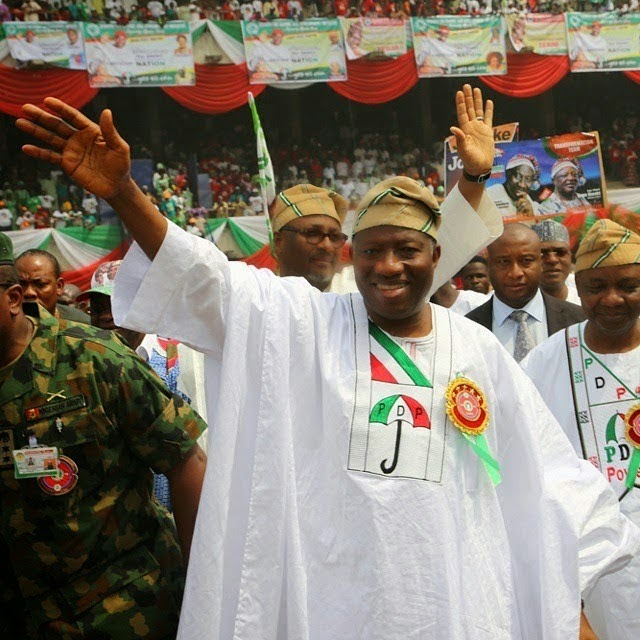 Mr. Jonathan, who is contesting under the Peoples Democratic Party, PDP, polled 632,327. Out of the 20 local government areas in Lagos State, the APC won 15 while PDP won five. Akin Orebiyi, the state Resident Electoral Commissioner, urged any aggrieved party to approach the Election Petitions Tribunal which he said would be constituted soon. The Independent National Election Commission (INEC) announced its official results of the presidential elections in Akwa Ibom State. 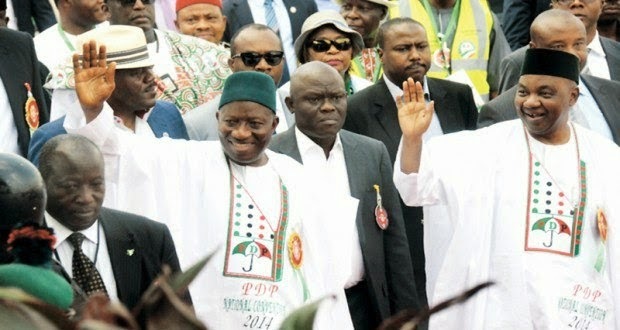 President Goodluck Jonathan wins by a sizable margin. 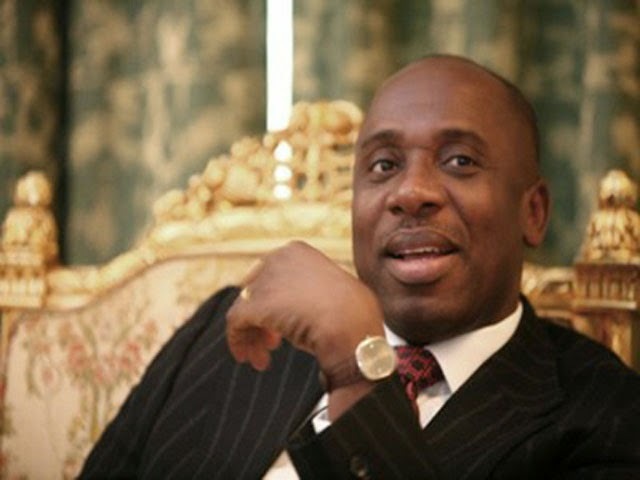 The Rivers State Governor, Rotimi Amaechi, has declared dusk-to-dawn curfew on Port Harcourt, the state capital, hours after the Independent National Electoral Commission announced the result of the presidential and National Assembly elections in the state. APC WINNING WITH 2,032,226 Margin. Banking without bankruptcy is like Christianity without hell. 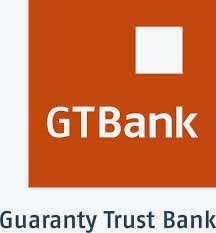 This incontestable truth becomes clearer to Segun Agbaje, MD/CEO Guaranty Trust Bank (GTBank), by the minute. The GTBank MD has finally burned through his euphoric spells of fantasy to chance on cold, brutal reality; GTBank is in trouble. The bank severally touted to be doing very well is actually in dire straits. Consequently, this has put the bank MD in a bind; for the first time in his life, Agbaje has seen through the grand illusions driving his bank to bankruptcy - he has finally gotten to understand that bankruptcy is a sacred state, a condition beyond conditions, as theologians might say, and attempts to investigate it are necessarily cumbersome and tiring, like spiritualism. The presidential election results for 18 states plus the FCT has so far been announced. 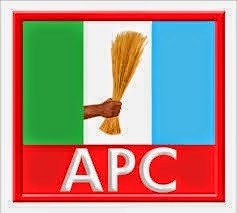 The APC has 10 states, while PDP has 8 states + the FCT. The US and UK government have released a joint statement appraising last Saturday's general elections. According to the statement posted on UK's Foreign affairs website HERE, both government said the elections have largely been peaceful but that there are disturbing indications of political interference in the collation of results. INEC has announced results for 8 states and the FCT, Abuja - (total 9) PDP is leading with 2,332,734 votes while APC has 2,302,978 votes. APC won five states and PDP four states. The commission has reconvened till 8pm tonight to allow sufficient time for other states to bring in their results. 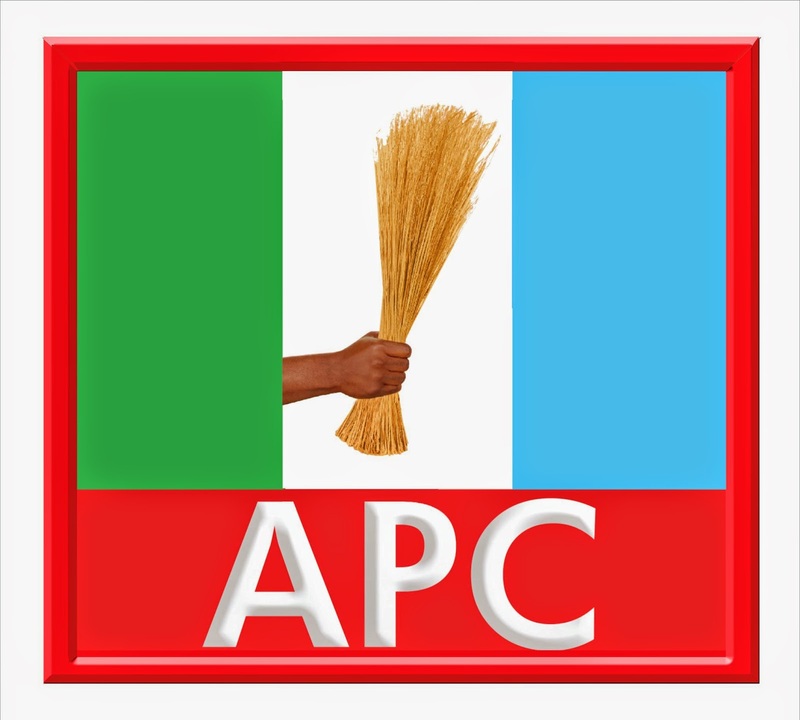 The All Progressives Congress (APC) in Akwa Ibom on Monday staged a peaceful protest against the alleged irregularities in last Saturday’s Presidential and National Assembly elections. Leading the party faithful in the protest, the APC governorship candidate in Akwa Ibom, Mr Umana Okon Umana, called for the cancellation of the poll, describing it as a farce. Former House of Reps member, Dino Melaye has won the Kogi West Senatorial election in Kogi state. An elated Dino took to twitter to share the news of his victory. Also, former minister of Aviation, Mrs Stella Oduah won the Anambra North Senatorial election. She defeated her major opponent, Chief Dubem Obaze of APGA. As announced by Prof. Adeniyi Daramola, VC of FUT, Akure , the Returning Officer for Ekiti state. Three local government areas are yet to submit result, Vandeikya, Logo, Ukum and Makurdi. But Makurdi, Vandeikya for Buhari landslide. President Goodluck Jonathan suffered a heavy defeat in Kano according to results released by the Independent national Electoral commission (INEC) in the state early this morning. 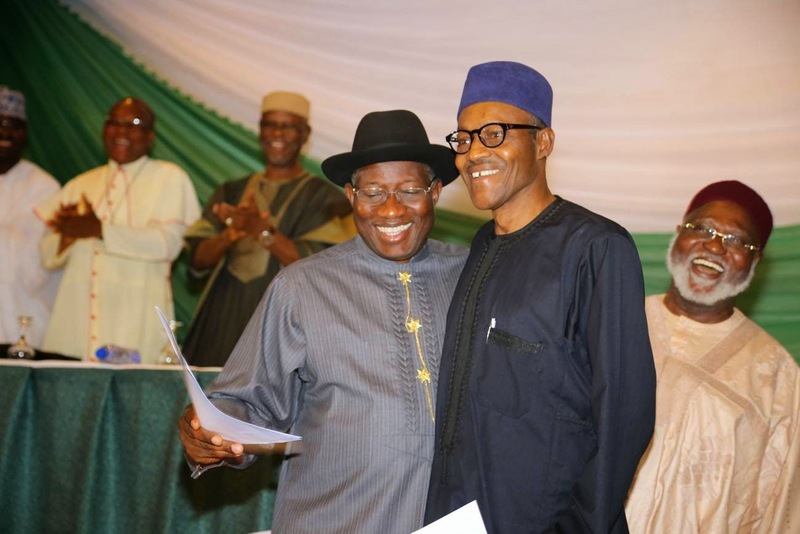 According to INEC, General Muhammadu Buhari defeated President Jonathan by a wide margin, scoring 1,903, 999 votes as against Jonathan’s 215,779. General Buhari has already won in Ogun, Lagos, Kwara, Kogi, Jigawa, Ondo, Osun and his expected to entend his wide lead as more results come in from more states today. Apply now to become a Medical Student in China. 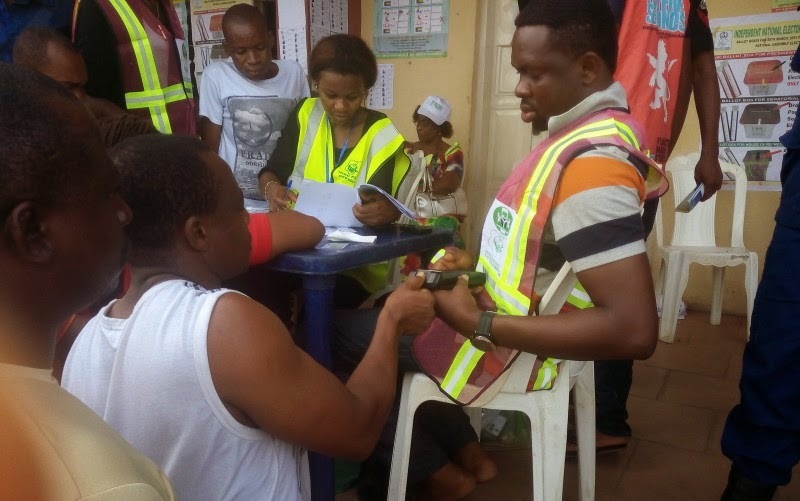 After a close monitoring of the elections in three senatorial zones of Ebonyi State on Saturday,Punch observed that the voters, especially in Ebonyi North and Ebonyi Central senatorial zones, hardly cast their votes for any of the presidential candidates. 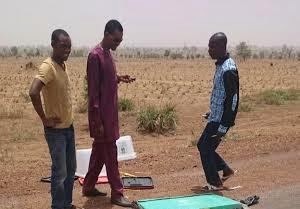 A voter in Ezza South Local Government Area (Ebonyi Central senatorial zone), who pleaded not to be mentioned, said they were compelled to cast votes for only candidates seeking election into the National Assembly. The All Progressives Congress won the polling unit of former President Olusegun Obasanjo in Saturday’s presidential election, beating the Peoples Democratic Party to a second place. At the polling unit, Ward 11, Unit 2, Shokori, Abeokuta North Local Government Area of Ogun State, the APC polled 100 in presidential votes, while the PDP got 16. Two INEC officials were killed by unknown gunmen at Nafada/Dukku federal constituency in Gombe state yesterday. See photos from the scene after the cut... *viewer discretion advised*. A boat carrying a director in the Ministry of Chieftaincy affairs, Aremo Azeez Adewale, who is also the first son of Olu of Epe, Oba Sefiu Olatunji Adewale and and Muhiz Bello, a local government chairman, APC Epe candidate, capsized this afternoon as the men and others returned from a riverine area in Epe where they had gone to cast their votes. Mourners have thronged the Olu's palace in to sympathize with him. The prince has since been buried according to Muslim rites at his house in Isasi, Epe. Muhiz Bello was married with three children. Karrueche took to instagram to write a message to fans, hours before her interview with Iyanla is due to air. "This evening the interview with Iyanla Vanzant and I will air. This is about recognizing my mistakes and learning from them. I own up to all the poor choices I have made and pray for the better. I pray everyday to God to strengthen me as a human and a young woman. I only ask that you at least understand me, whether you continue to like me or hate me. At the end of the day, we all have not been at our best at times so please learn from me and never forget to love yourself. 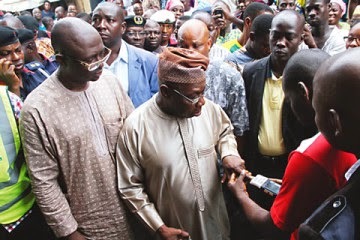 ❤️"
The Peoples Democratic Party has said that reports of challenges with the use of voter card readers across Nigeria have vindicated its opposition to the deployment of the device. While card readers functioned smoothly at various voting centres during Saturday’s presidential and national assembly elections, there were complaints from many centres about slow or completely dysfunctional machines. President Goodluck Jonathan has lost one of the two polling units situated right inside the Presidential Villa to his All Progressives Congress challenger, Muhammadu Buhari. 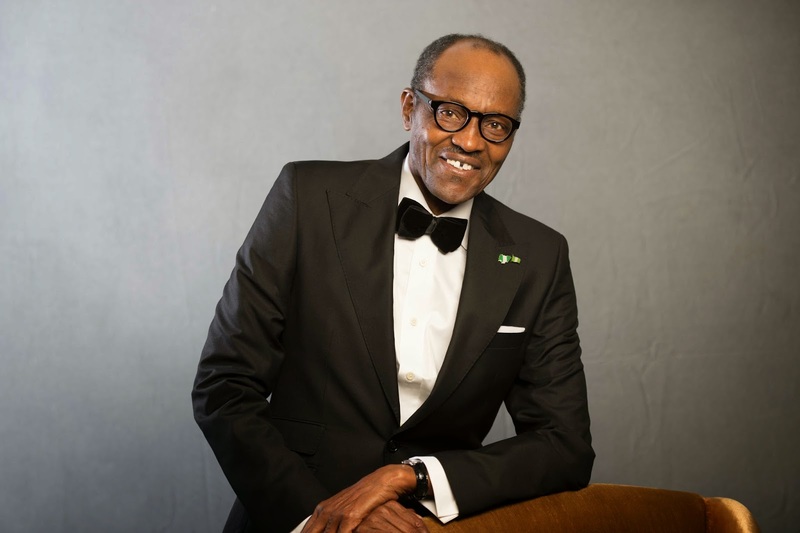 Reports available to Premium Times indicate that in polling unit 022, Mr. Buhari garnered 348 votes to Mr. Jonathan’s 302. 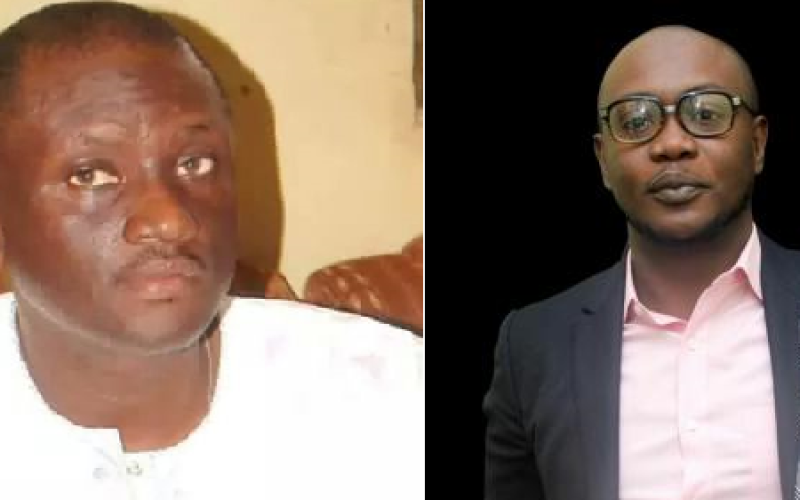 With just hours to the 2015 presidential elections, SaharaReporters has been informed of the detention of some chieftains of the All Progressives Congress (APC) by the Sokoto State command of the Department of State Security (DSS). 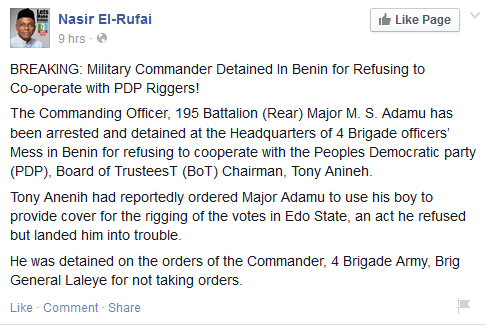 Those under arrest include Alhaji Mu’azu Zabira, the chairman of APC’s Security Committee. The home of another APC chieftain, Alhaji Ummarun Kwabo was raided, during which Alhaji Abubakar Kani was arrested. Up to the time of this report, no information was available with regard to where they are, or the offences for which they are being held. 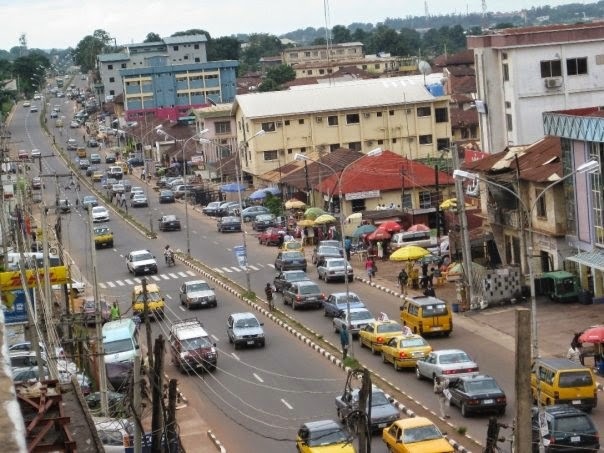 A bomb explosion has reportedly rocked a polling unit at the WTC Primary School, Enugu, Saturday morning. WTC Primary School is located at Enugu North, one of the municipal local government areas in the Coal City State. 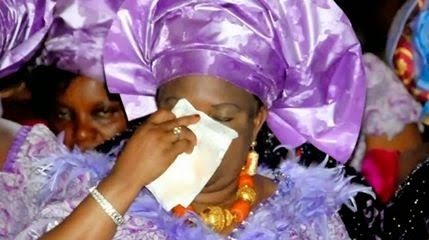 Patience Jonathan, Nigeria’s first lady, feels she would be jailed by the All Progressives Congress (APC) if Muhammadu Buhari, presidential candidate of the party, wins Saturday’s election. While speaking on Wednesday at the Peoples Democratic Party (PDP) women presidential campaign rally in Oyo state, the first lady said the APC and its presidential candidate jailed the fathers and mothers of the Oyo people.